Limited Edition of 3.500 ex. Split-Rocker. 2013. Glazed porcelain vase. Limited Edition of 3.500 ex. 36x40x33 cm. Presentation box with signed and numbered certificate. Produced by Bernardaud. 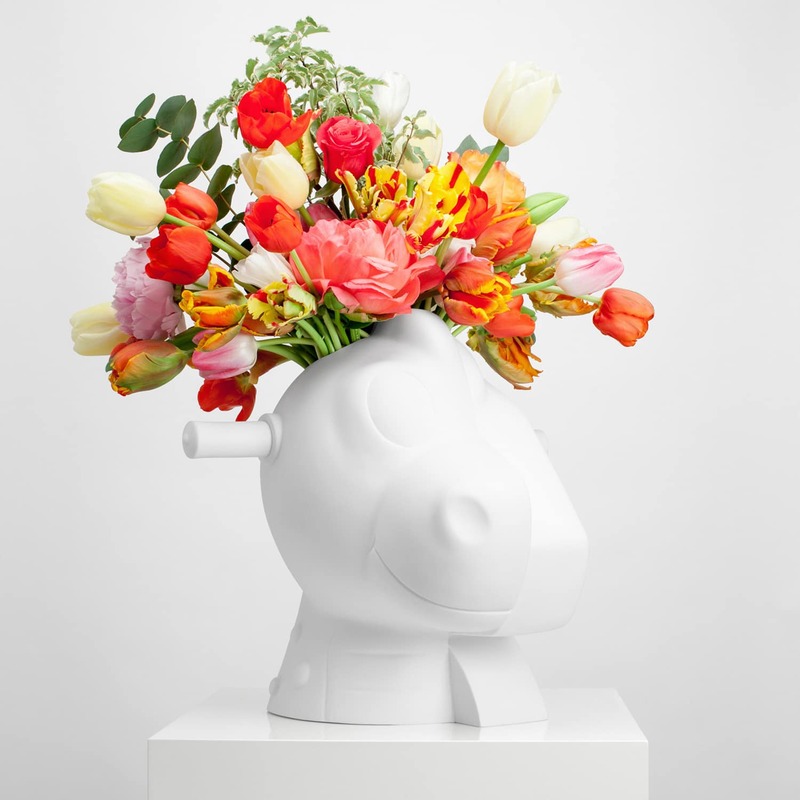 The ‘Split-Rocker Vase’ by Jeff Koons is the hand-signed sculpture form the limited edition. 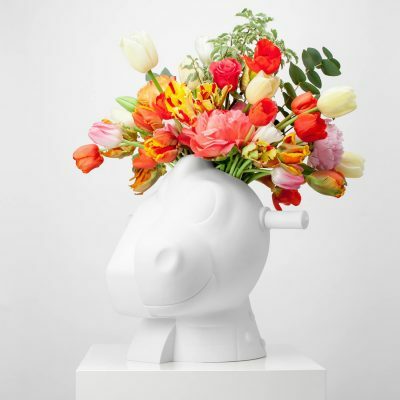 It is the smaller reproduction of a monumental floral artwork ‘Split-Rocker’ made in Avignon, France. Originally, the sculpture was made form 50,000 flowers and had 11-meter high. The Split-Rocker was inspired by designs of two animal heads – Pony and Dinosaur.